We run an awesome series of themed summer camps for middle school girls! Your girls will experience the life of St Kateri Tekakwitha and the history of the Iroquois martyrs, learn about the life and teachings of St John Paul II, and have a ton of fun in the meantime! The themes add to the wholesome fun and adventure to a deep Christ-centered experience around Christ in the Eucharist, the Gospels, and in each other. These camps will engage the imagination of your middle school girls. Our campers learn from a variety of leaders. One or two priests are present in the girls' camps for daily Mass, confessions and a chance for conversation and fellowship. A handful of young women and moms as chaperones attend each summer camp as group and activity leaders. We also have a dozen or so high school girls as counselors in training that help lead activities. Furthermore, every camper has an older peer as team leader and is part of a team of friends. We pride ourselves too on the handful of volunteer moms that come cook for us for the week! We are also opening up our summer to more High School activities! Sign up and find out how you can also send your High School girls to a summer camp at River Ridge. ​We love it when your kids go home renewed and excited after spending a week enjoying summertime activities and living out their Catholic identity with new friends their age and exemplary leaders. This three-year camp series follows the adventures of St Kateri Tekakwitha and her companions, as well as the Iroquois martyrs. This is the longest running girls theme at River Ridge. The girls can bring costumes and play along in the scenes. This is a great camp to give the girls an outdoor spirit and teach them bravery and holiness! This camp series is part of a national program for girls called Challenge. The camp series offers unique experiences for girls to grow in their Catholic faith and make lasting friendships. The themes challenge the girls to grow spiritually, mature, and to have lots of fun doing so! This camp is based on the life and teachings of the great St John Paul II. 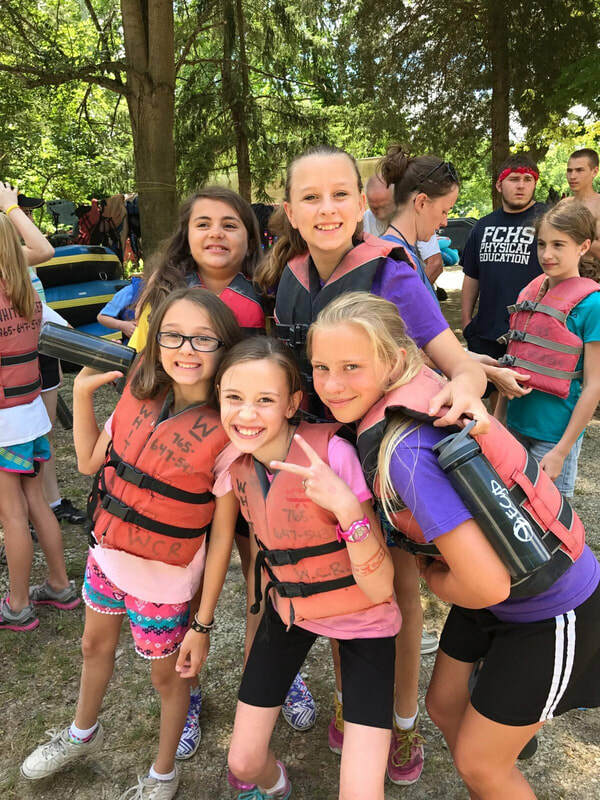 The girls get to participate in a bunch of adventures like canoeing, zip lining, etc, in the outdoor adventure spirit of John Paul II! This weekend summer camp is meant to fire up High School girls through friendship, talks and a Gospel reflection, daily Mass with opportunities for confession and spiritual mentoring, as well as the example of older, wholesome young women. And they have tons of fun too! For more information, feel free to contact the camp director at campriverridge@gmail.com. Or you can create your account and login for forms, cost, and to receive regular updates about upcoming events. To register for any of our summer camps, please create your account below and login. Once logged in you can select your camper and enroll him in any of our summer camps!